While other gadgets have gotten smaller and more streamlined, printers have generally remained space-hogging behemoths. Seemingly ignored in the quest to make computers and their accessories compact and ultra-efficient, most modern-day printers look like relics of the circa-2000, oversized beige PC era. One new concept aims to challenge that with a tiny mobile design that moves across paper of any size like a Roomba. 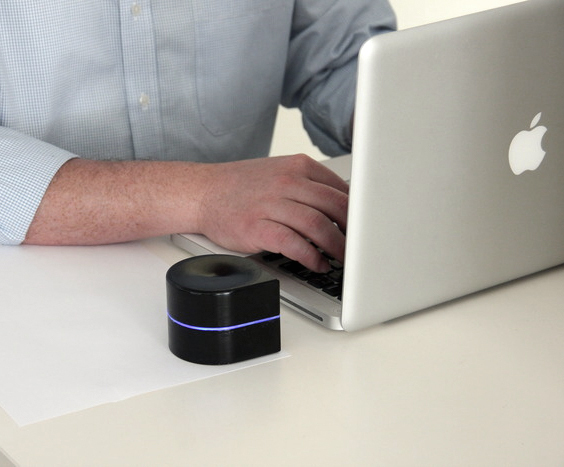 The Mini Mobile Robotic Printer makes it possible to take printing capabilities on the go with you along with your laptop, cell phone and other mobile devices. 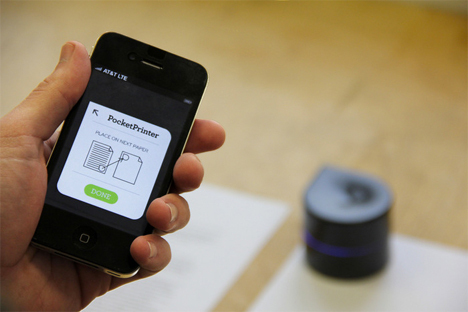 It prints from any device, including phones, and isn’t constrained by the paper size accepted by a conventional printer. It consists of a printhead on a set of small wheels that travels across a sheet of paper to print. 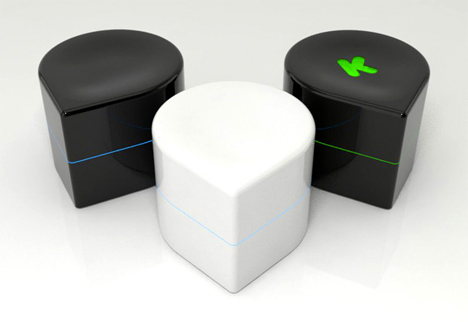 An omni-wheel system enables the printer to turn in any direction. Powered by a battery that can be recharged via USB, the Mini Mobile Robotic Printer has a small inkjet that lasts over 1,000 printed pages. Once charged, the battery gets an hour of printing time. While the first version will be grayscale only, Jerusalem-based ZUtA Labs aims to create a color version in the future. 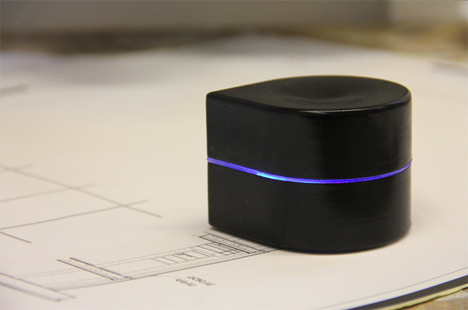 Measuring just over 4.5 inches in length, the printer connects to gadgets wirelessly via Bluetooth. A Kickstarter campaign is currently raising production funds, and the first printers will go out to backers of the project in January 2015.